A beautiful landscape that encapsulates the artist’s reminiscence and nostalgia, Khalil Ibrahim shares his vision of the green serene through his East Coast Imaginary Landscape art piece, showing his clear cut proof of versatility and style other than his usual batik. The piece is presented in a mesmerising oil on canvas piece of colourful, hypnotising natural lush of green and earth colours moving across the canvas. 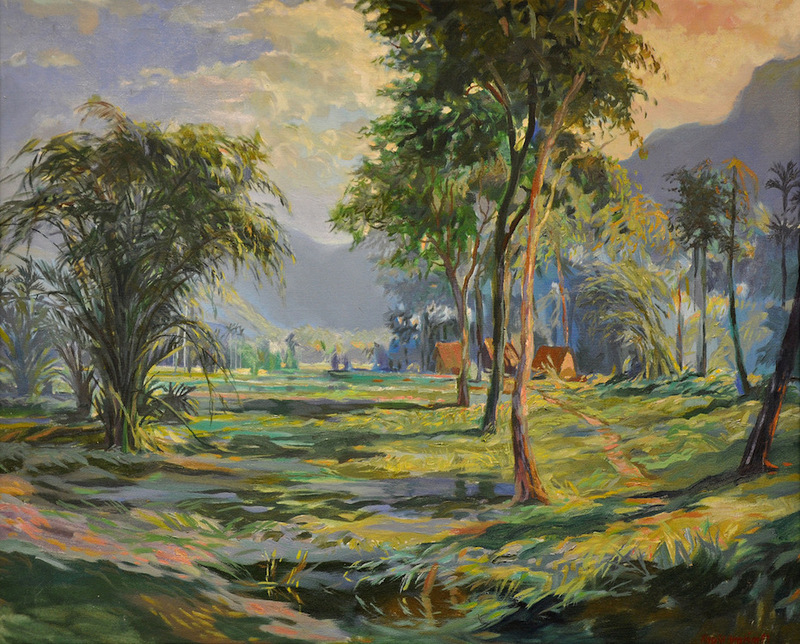 Having been one of the few Malaysian artists who graduated from the London prestigious art school St. Martin’s School of Art and Design during the 60s, Khalil Ibrahim has been known to have produced artworks for over 50 years, exhibiting at major institutions both in Malaysia and Singapore. He is known for being a versatile artist using mediums that range from ink on paper to watercolour and acrylic. His penchant for form is usually set against bright and stark landscapes and this is displayed in this piece, which is an interpretation of both of these preferences.